The problem could also be the friction that accompanied the government’s formation; two key cabinet members are suffering embarrassingly low support ratings. Netanyahu, who dreamed for a decade about returning to the Prime Minister’s Bureau, will have to work hard and fast to show he is productive. The most striking result of the Haaretz-Dialog poll, conducted under Prof. Camil Fuchs of the statistics department at Tel Aviv University, is the extent of the public’s dissatisfaction with the new government. Less than a third of those surveyed said they are satisfied with Netanyahu’s government. More than half, 54 percent, are dissatisfied with the new government. Will Egypt-Israel peace survive after Mubarak leaves office? “The biggest question is what will happen the day after the Egyptian president leaves office. Mubarak, who will be celebrating his 81st birthday in a few weeks, will not remain in power forever. 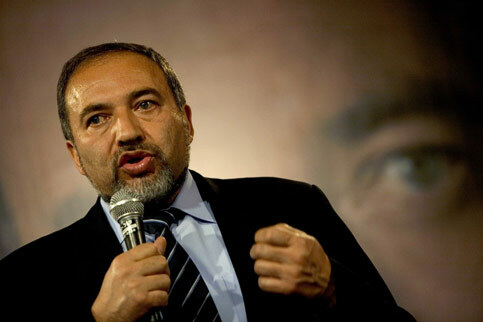 It would be mistaken to think of the rise of Avigdor Lieberman as a major development or as the main source of concern for the Palestinians. Israeli Defense Minister Ehud Barak on Sunday issued an order against demolishing homes built on privately owned Palestinian land in the West Bank settlement of Ofra.